Written on the back of the print by Serena Wadham: 'please credit Serena Wadham' also what looks to be some numbers and '£16'. Read more about Gennay Rozhdestvensky. 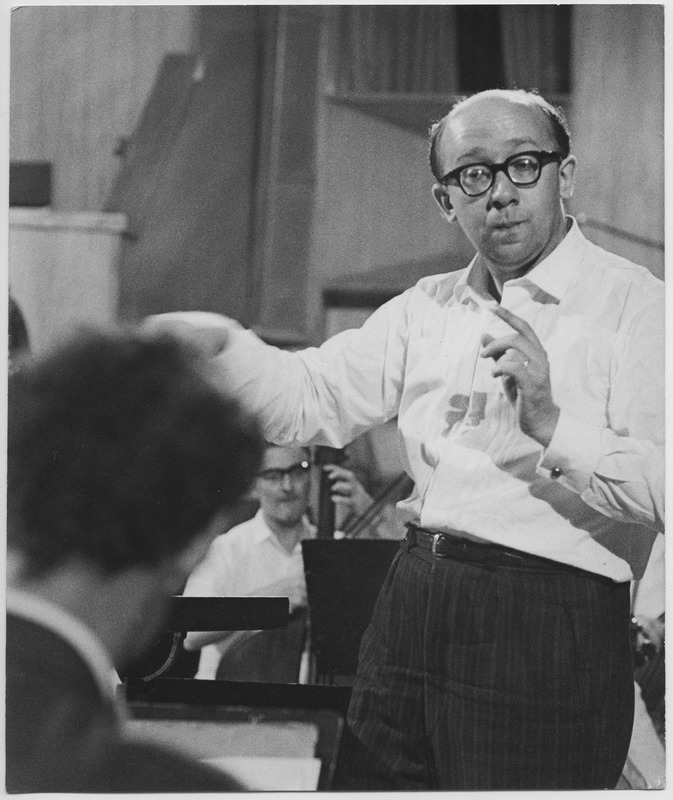 Serena Wadham , “Gennady Rozhdestvensky, Russian conductor.,” Morrab Library Photographic Archive, accessed April 21, 2019, http://photoarchive.morrablibrary.org.uk/items/show/15678.